Each morning as I send my boys off into the world, I say to them “Be kind and courageous today.” My 7-year old has taken to rolling his eyes at me every time, but he knows why I say it. We talk about these two words often. We talk about the importance of kindness and understanding each other’s individual needs. We talk about courage and allowing yourself to be uncomfortable, even if it’s tough, and especially if it’s the right thing to do. Kindness and courage are the basis of many of the conversations I have with my boys about their place in the world. I have found that these two concepts are easy for kids to understand and I have seen our discussions begin to shape the way they experience the world. I never shy away from a hard conversation with them and they seem to always rise to my expectations. Children are amazing and they can use their natural kindness and joy to do great things, that is if we give them the right tools. Kindness and courage are two of the tools I am giving my boys. If you are from West Michigan, you know the term “West Michigan Nice.” “West Michigan Nice” is one’s ability to be nice to everyone, to welcome them, to say hi and welcome someone into a space. Do you have a similar culture in your community? “West Michigan Nice” sounds good on the surface, but in fault, this culture doesn’t go beyond nice on the surface often enough. This culture is dangerous and allows us to grow up thinking the Golden Rule is the nicest way to be with others. The Golden Rule allows us to only be kind to everyone based only on our own wants and needs. When we lead with our own assumptions, we can cause external biases and potentially segregation by making someone feel uncomfortable. That is why I teach my boys a definition of kindness that goes beyond the surface. You may have heard this called the Platinum Rule. The Platinum Rule is “treating others the way they want to be treated.” Kindness, in our household, starts with getting to know the other person’s needs. 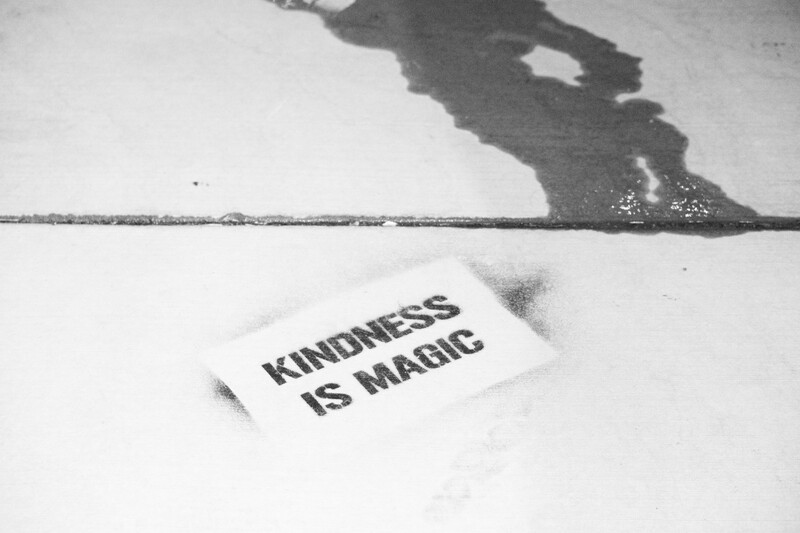 This is the truest form of kindness. This is kindness that takes into account that the person is whole and has their own needs. Kindness in this form helps my boys think beyond themselves and consider others. I’ve talked to E and T about kindness, but it’s the everyday implementation that takes the work. We talk about kindness every chance we get. I am constantly reminding them and helping them to build the natural habit of kindness with each other and their friends. These are only a few of the circumstances our kids experience each day. I could think of a hundred more. But the goal of each for me is to help my boys lead with empathy and encourage them to be kind and understanding when someone is different from them in some way. Empathy and understanding are the foundation of a lifetime of kindness. Courage and bravery are different. In our culture, boys are taught to be tough, to not show their emotions. To be brave and stoic, not to be afraid. This leads to boys growing up not knowing how to deal with their emotions, which leads to them (not-so-surprisingly) having outbursts of anger/rage to make up for it. Or bottling up emotions that turn into anxiety or stress and manifest in other unhealthy behaviors as adults. I’m instead hoping to teach my boys the full definition of courage. Courage is one’s ability to do something that frightens them, to be brave, not just for the sake of fighting or doing something physically dangerous, but instead have the courage to have tough conversations and to stand up for what is right even if it isn’t popular and to share their emotions. In her writing, Brene Brown suggests that we should “choose courage over discomfort.” Taking the six seconds to be courageous helps you to avoid discomfort and resentment in the future. This is an important lesson for our own mental health and for teaching my boys to develop a community around them that is inclusive of everyone. If they are able to choose those six seconds of discomfort, the time it takes to speak up against inequities, then they will be creating a community that is better for everyone, including themselves. In my adult life, I have experienced a notable amount of adults who are lacking courage, who are missing out on having tough conversations, which in turn allows resentment to build and often explode. This type of behavior leaves us stagnant and unevolved. 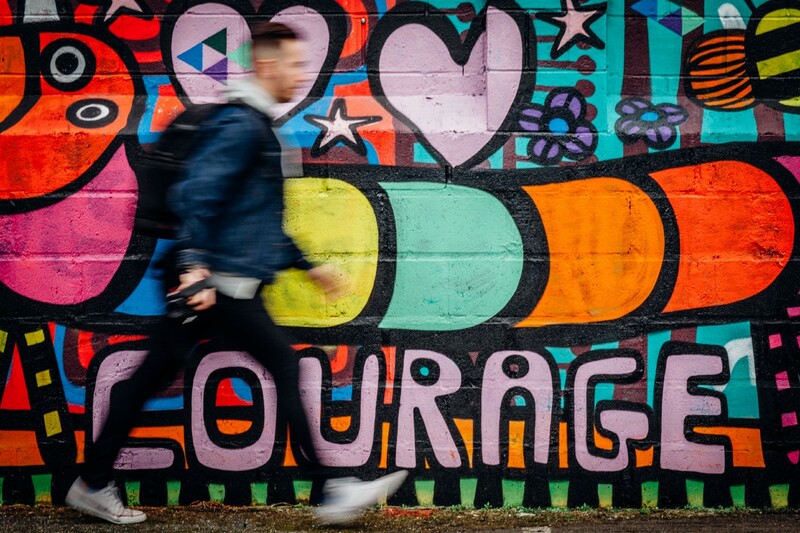 Courage is essential to our personal growth and the growth of our community. For this reason, I am teaching my boys courage now. Teaching them to speak up, to be willing to use their voice in important situations, to do things that make them uncomfortable, to speak up for atrocities they and others might experience. It’s important for me to encourage them specifically to use courage matched with kindness. Take opportunities to speak up to bullies, stand up for actions they deem as unfair to their peers, and encourage others to be kind around them. Good humans are empathetic, kind, emotionally intelligent, and courageous. Good humans understand that they are only one part of the world and participate in society as a part of the whole, to support others (not only for themselves) and be selfless. Good humans start with a foundation of good tools as children that teach them how to express their natural empathy and kindness in ways that help the greater good. This is why I am teaching my children the foundations of kindness and courage. They are part of the basic tools they need to be good humans and develop an equitable world. A diverse and equitable world is good for them too.